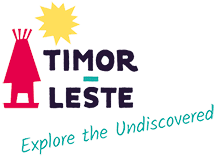 To gain an insight into Timorese communities and daily life wander around the markets. They are lively, interesting places with local seasonal produce, handicrafts and other goods on display. They are a great place to meet the local people and of course to stock up on fresh fruit and vegetables, snacks and other items. In larger centres, markets are held daily, but in smaller towns they are a weekly highlight with people travelling long distances on foot, horse-back, small boat, truck and motorcycle from surrounding villages.